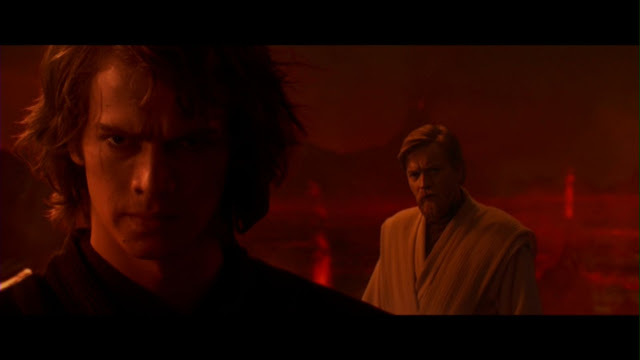 By the time Star Wars: Episode III: Revenge of the Sith was released, I had processed my true feelings towards The Phantom Menace and Attack of the Clones and was able to admit to myself that in comparison to the original Holy trilogy, those films were a lot closer to turds than triumphs. I still recall going with a buddy in May of 2005 and walking in with vastly lowered expectations compared to what the hype produced the first two times around. Sometimes lowered expectations is precisely what you need. 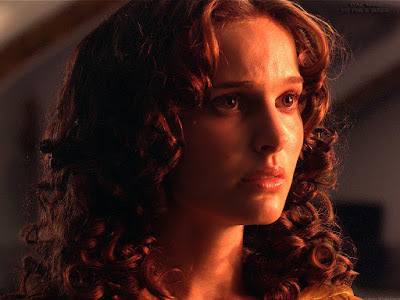 I walked out of the theater that night feeling a wonderful rejuvenation of my Star Wars admiration as Revenge of the Sith felt like a massive bounce back from the failings of the films released in 1999 and 2002. Is this a perfect film? Heavens no. When held up against the original trilogy it still suffers from some of the same egregious errors that weighed down the prequels up to that point. Rather than break down every nuance I can sum up the overall difference between these three films and the three that had felt like another member of my family growing up: a loss of magic. It just isn't there in these movies. So why did I experience the rejuvenation? Because in a world of Star Wars diminishing returns, the level of entertainment in comparison is through the roof here. So much of the silly is put aside for the cold darkness of the chosen one turning evil, and thank goodness for that. The performance issues of Hayden Christensen are still present but they are balanced out by Ewan damn McGregor not only taking his role as Obi-Wan Kenobi seriously, the dude is trying to win a damn Oscar here and I love him for it every time I watch. Lucas came through enough to end his career with the Star Wars franchise on a high note, and unlike many I refuse to hate the man for the mistakes he made altering the original films and for misguided ideas throughout the prequels. He brought so many wonderful memories to my childhood by creating this universe and these characters, and it is because of him that I continue to watch all six of the films and I have already watched the trailer for The Force Awakens probably 30 times. No, his stamp isn't on the new films coming from Disney, and it's a good thing it isn't. I look forward to fresh cinematic minds handling the material and the potential of them embracing what made the first three films so, well...magical. Still though, without George there would be no awakening of the force to begin with. I am forever grateful. You know the scene at the end with Anakin screaming with his limbs chopped off at Obi-wan, I like to think the guy who played Anakin readied himself by thinking of all the times he was frustrated that George wouldn't direct him and interacting with open air most of the time. I'd be angry too, and turn into one of the most powerful villains of all time if I experienced that too. haha that is a good thought Cody. Channel that energy to deliver that scene. I like that.